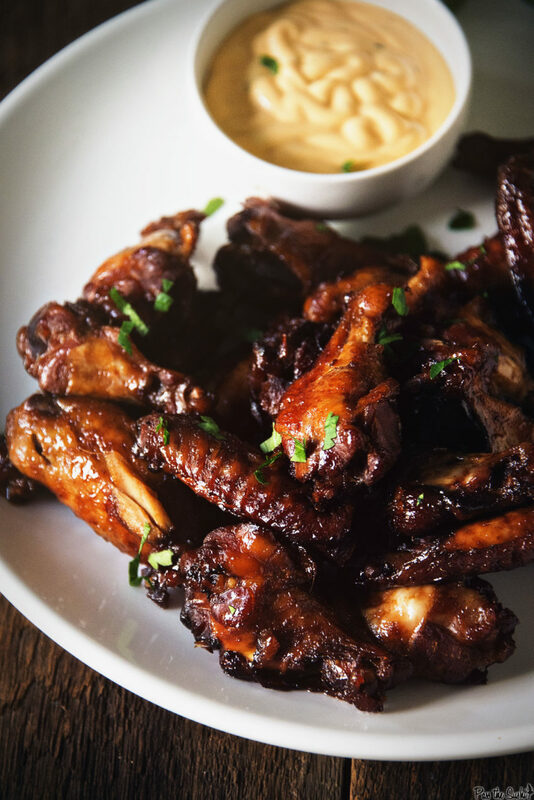 Rumor has it people like to nibble on some savory bites while watching the games. Chances are if you have found yourself here on my little slice of the web, you may be one of those people. 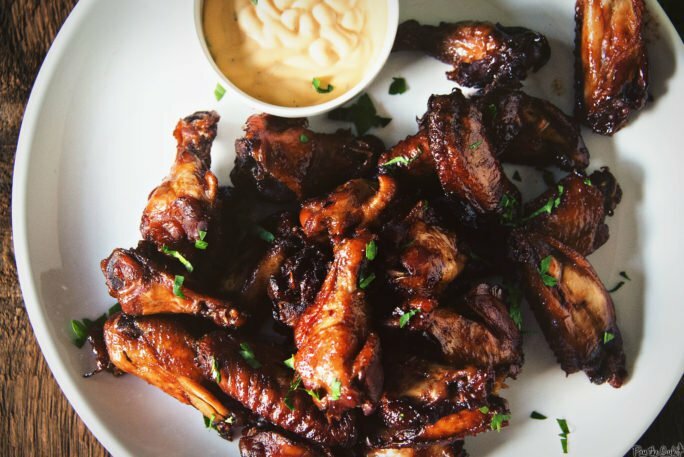 Well guess what, these sweet chili chicken wings are slow cooker simple, and once you make them you may never run out to the local yellow buffalo again. Change up the flavors and spice to keep your guests on their toes. It’s slow cooker simple, what else could you ask for. Whisk the soy sauce and honey together in a large slow cooker. Nestle the chicken in a single layer and pour chicken broth over top to cover if needed. Cover and cook on high heat for 3 1/2 to 4 hours. 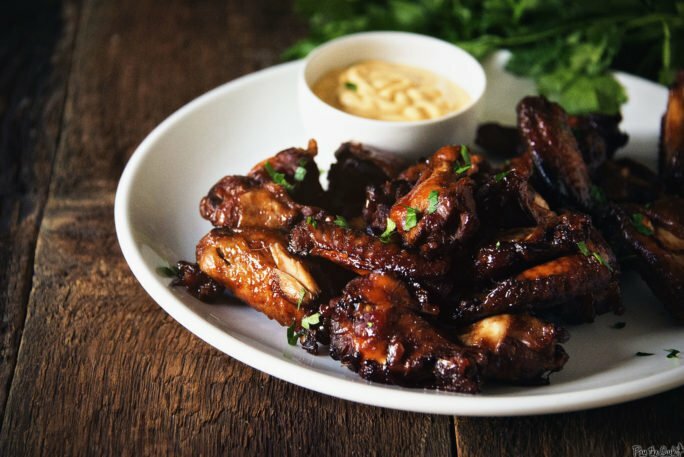 Preheat oven to broil, and carefully remove the chicken wings from the slow cooker and arrange on a baking sheet lined with aluminum foil in a single layer. Broil the chicken until crispy, about 5 to 10 minutes, flipping as needed to get all sides crispy. Transfer to a serving platter and garnish with cilantro if desired. Oh my gosh yes. These sound incredibly delicious. 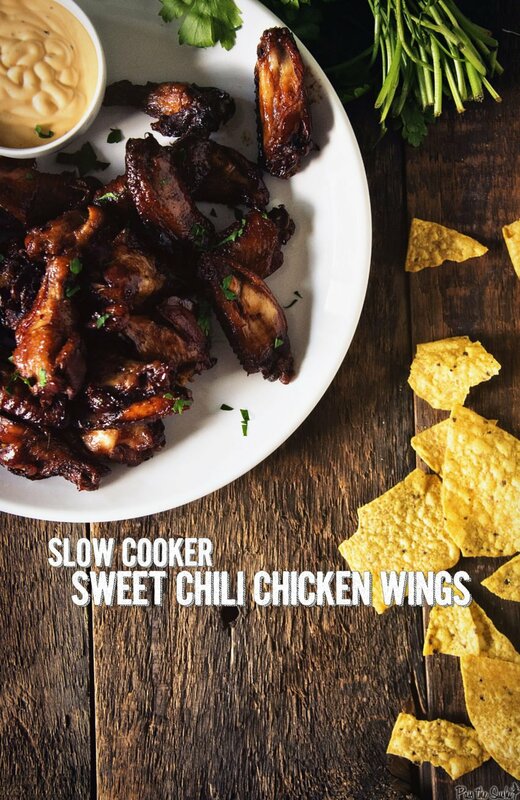 I’ve never made wings at home but with the ease of the slow cooker I may have to! What is that beautiful sauce you served these with?